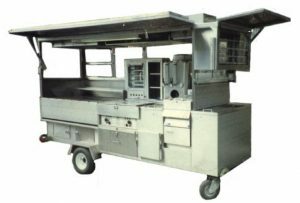 Worksman Food Trucks, Step Van Conversions and Mobile Kitchens set the standard for the rapidly expanding mobile food industry. Our enclosed trailers offer year round comfort for year round profits! Each unit is custom-made to your exact specifications and needs and is built by master craftsmen in our New York City manufacturing plant. 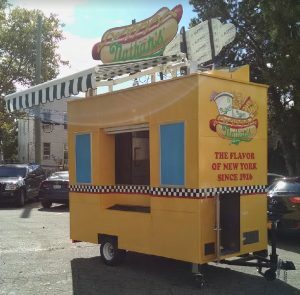 Whether you require a roadside hot dog truck or a world class gourmet kitchen on wheels, a Worksman Mobile Unit will keep on delivering profits for years! 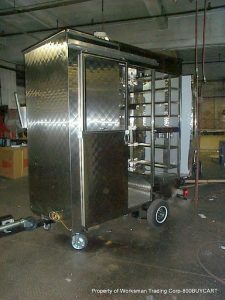 Worksman Vending Trailers and Carts brings restaurant food service to the streets! 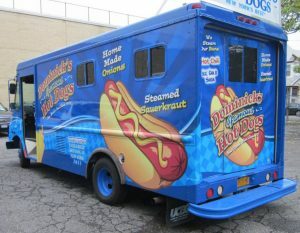 Legendary on the streets of New York, these units are designed to keep on serving fast-moving customers all day. 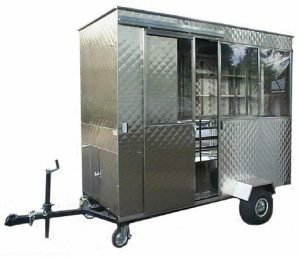 Breakfast, lunch, snack break or specialty vending, there’s nothing a Worksman Vending Cart or Trailer can’t do! The hardest working vending units in America’s hardest working city!